Realism in American films would become all the rage in the 1960s and 70s, mostly thanks to influences from European cinema, but it was a groundbreaking revelation when used in Don Siegel’s Riot in Cell Block 11 in 1954. Because of the smaller budgets, often B-films were the films given a greater opportunity to take risks, as was the case for 1990s independent cinema. Siegel worked within this medium to create a prison film which carries a social message within an entertaining genre picture. It would be easy to look at this film from a stylistic standpoint, marking the cinematic choices of filmmaker Don Siegel, who would create the monumentally influential classic Invasion of the Body Snatchers two years later, as well as returning to the prison thriller genre twenty-five years later with Escape from Alcatraz. 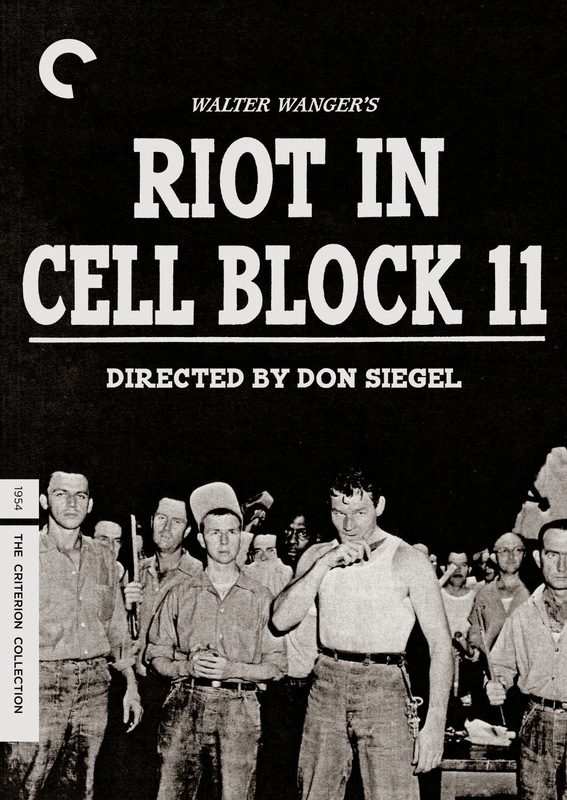 Siegel is clearly has a distinct stamp on Riot in Cell Block 11, but there were many other contributing factors that were a driving force in the ultimate success of the film. Producer Walter Wanger used his own experience in prison to spearhead the social message of poor prison conditions in Riot in Cell Block 11. There were many additional crew choices which added to the authenticity and drive of the film, including connections through Sam Peckinpah, who worked as a production assistant on the picture, which allowed them to shoot on location at the legendary Folsom State Prison. Realism extended into the casting, which included actual prisoners and guards as extras, not to mention lead actors, many of which were war veterans and not unfamiliar with violence. Some of them had even spent time in prison, with actor Leo Gordon returning to film in the same prison that he had served a sentence for armed robbery. The plot is as simple as it sounds from the title. Due to a number of real-life riots caused by poor prison conditions, the message of the film had relevance in 1954, and it played into the popular prison film genre. There is an ensemble of characters all fighting an invisible system to get a better prison. The prisoners in the solitary wing of the prison riot and take guards hostage in order to make demands for improvements. Ironically, the warden is an outspoken supporter of the same issues that the prisoners demand, but is never able to instill change thanks to government bureaucracy. It is a stand-off that increases in volatility as more time passes, building to a subtle, message-filled climax. The DVD features a new 2K digital restoration of the black-and-white film, along with a new optional commentary track with film scholar Matthew H. Bernstein. In the special features there are excerpts read from two different books on Siegel, including his autobiography, read by his son, Kristoffer Tabori. Also included in the features is an excerpt from a 1953 NBC radio documentary series on the struggles of the prison system. The DVD also comes with a foldout booklet insert that has an essay by Chris Fujiwara about the film.